A growing number of workers age 50-plus are turning interests, hobbies or skills into a small business. 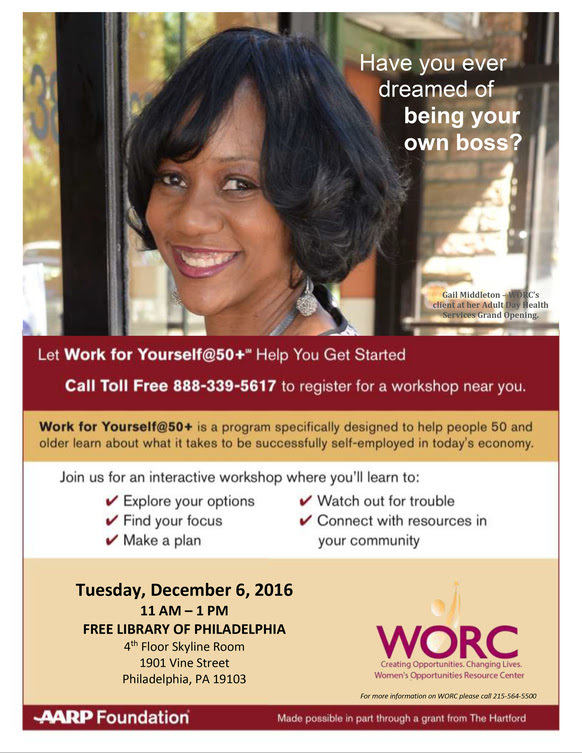 Representatives from the U.S. Small Business Administration will present at this AARP and WORC Encore Entrepreneur "Work For Yourself @50+" event for people 50-plus years old thinking about starting a small business now or after retirement. Learn about "What SBA Can Do For You," business start-up and financial basics for starting a small business, how to work with a lender, as well as SBA resources to assist new entrepreneurs. Call to register now at 1-888-339-5617!